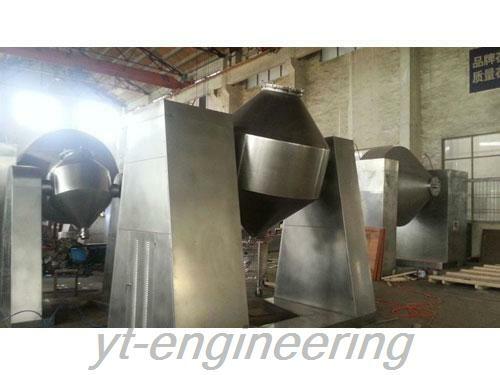 V type mixer machine is widely used in pharmaceutical, chemical and food industries. 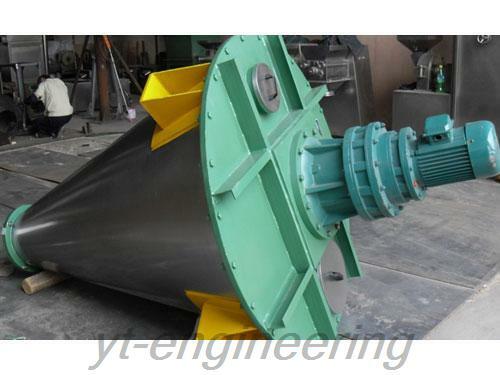 It is suited for mixing more than two dry powder or granular materials. 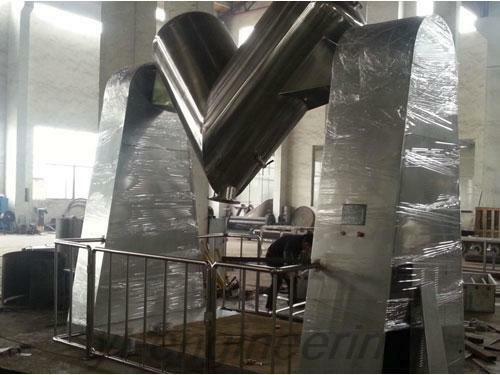 1.V type mixer machine features beautiful shape, uniform mixing and wide application. 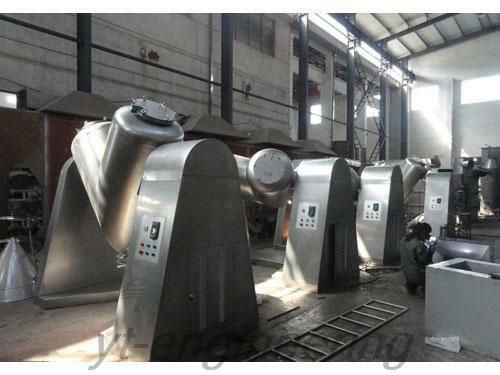 2.In accordance with the user’s requirements, we can supply compulsory mixer for the powder and lump materials. 3.Stirring device can be added into V type mixing equipment to break easy-caking materials and further strengthens the mixing effect. Note: Basically, loading factor is 0.4 – 0.6. 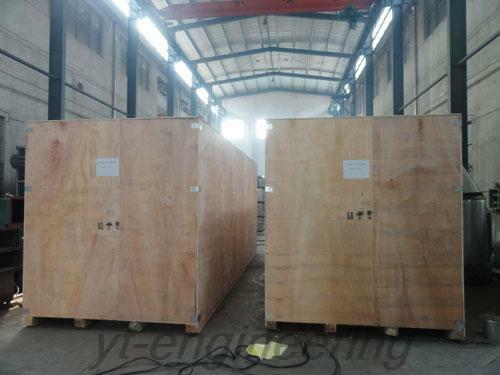 In the above table, production capacity is calculated according to loading factor 0.5 and material density 0.8. We have cooperated with the domestic universities and colleges for a long time. Meanwhile, experienced professors and engineers are invited to form expert group. 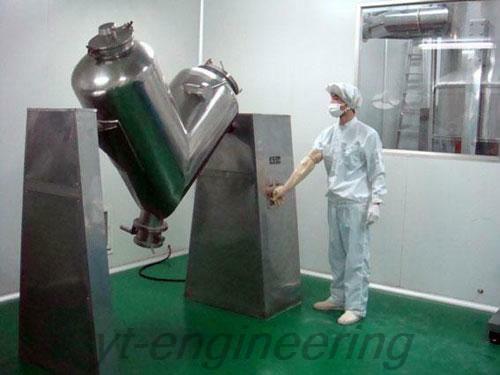 V type mixer machines have powerful research and development as well as innovation capacity. 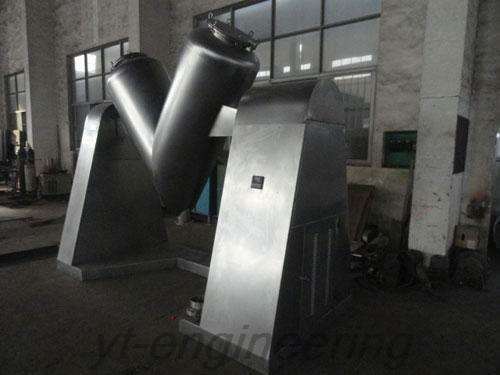 If you have any question about V type mixing equipment, please feel free to contact us. Customers are welcomed to visit the company.